Legal marketers can’t just throw ideas at the wall and hope they stick. To be successful, marketing initiatives need to be implemented thoughtfully. Every marketer has their own processes when it comes to metrics and budgeting, but there are always new tips and tricks to learn. 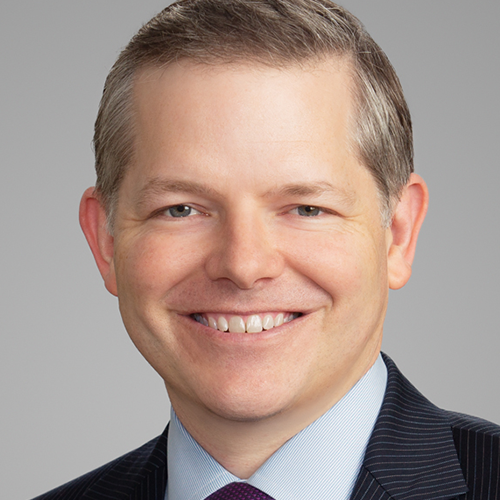 On the latest episode of the Law Firm Marketing Catalyst podcast, Michael Blachly, Chief Marketing Officer at Gray, Reed & McGraw, shared his own best practices. As marketers, we know that our hard work benefits the firms we work with, but it may not be as obvious to partners, who are more concerned with serving clients than appreciating a great marketing strategy. Part of this job is proving to your firm that you’re not just another operational expense—you’re a revenue enabler. So, how do you demonstrate your value to the attorneys you work with? Some of your value comes from the way you support and interact with lawyers. Michael suggests thinking of yourself as a consultant within the firm, meaning you’re there purely to help and have no other agenda. This attitude can make it easier to share your thoughts, without taking it personally or feeling the need to wrench back control if your ideas get vetoed. If attorneys decide not to take your advice and what they chose to do instead doesn’t work out, they’ll be more likely to listen to you next time. Another way to demonstrate value is to take on the role of a thought leader. Share interesting articles and data with your own insights. Additionally, presentations are a great way to get in front of attorneys and put your knowledge on display. Presentations can also help you implement and get buy-in for marketing initiatives. For example, a presentation featuring your personal branding tips might prompt attorneys to revise their outdated bios. Hard data is another important way for marketers to show the value of marketing and business development. If you’ve never tracked metrics before, it’s time to start, even if that just means making a basic Excel spreadsheet. Begin by tracking simple metrics, such as website visitor data or the number of proposals the firm has submitted. These numbers show the results of marketing initiatives and usually aren’t difficult to track down, and some of them might already be tracked for you in Google Analytics or your social media accounts. That said, even though all metrics are useful, key performance indicators (KPIs) are the numbers that really matter. These are things such as the number of new clients secured in 2018, the number of clients that generate $1 million or more and the number of repeat clients. The marketing department can’t necessarily own these results because attorneys are highly involved in them, but these metrics need to be measured and reflected upon each year so marketers and attorneys alike can track patterns, successes and challenges. Most marketers are familiar with return on investment (ROI), which usually involves a specific financial goal. Typically, the firm will decide, “We’re going to spend this much on this initiative and we need to make this much revenue from it to make it worth it.” ROI is important, but it may not be the only metric marketers should care about. At his firm, Michael also uses return on objective (ROO), which is a bit more flexible. It might be as simple as saying, “We want to host four events aimed at the energy industry next year.” Or, it could be, “We want to host four events aimed at the energy industry next year, and we want this many people to come.” ROO is more of a marketing or business development goal, rather than a financial target. ROO is useful at law firms because attorneys are not only doing legal work, but they’re also salespeople and account executives. Lawyers want to track every single touch point they have with a client, and a financial figure alone won’t give them the data they need. In combination with ROI, ROO allows firms to use their instincts to figure out what works and what doesn’t. If you aren’t already, it’s time for you to get close with the accounting department. Accounting can give you important reports and introduce you to the people you need to know: the highest revenue-generating clients, the most loyal clients and the greatest originators at the firm. You need to identify these people to be effective at your job. Another eye-opening exercise? Taking a microscopic look at your budget. At most firms, accounting lumps marketing expenses into a few general ledger codes (for example, “branding” might include all collateral, sponsorships and public relations expenses). Michael suggests exporting this data, importing it into your own budget in Excel and breaking it down into subcategories. You can adjust your spreadsheet and categories to show whatever information is important to you, down to the smallest level. Seeing the numbers this way not only allows you to be more precise when budgeting, it also makes you better prepared for financial conversations with partners. You’ll know the exact cost of every initiative you’ve done and the department’s operational costs down to the nitty-gritty. And, if you need to cut the budget, you know exactly what you can and can’t live without. As a legal marketer, it can be a constant challenge to convince lawyers to buy in to your strategies. But to get them to do that, you have to drink the same Kool-Aid you want them to drink. You need to give presentations, publish articles and be a thought leader to your market, just like you want your attorneys to be. You market just happens to be the people at your firm. If you’re bringing in business development or marketing consultants, remember that they’re not just for the benefit of lawyers. Consultants are useful for your own professional knowledge, too, so take the time to pick their brains and ask about their best practices. It’s a good idea to work collaboratively with consultants to ensure that they’re on the same page as you, and also to give you the opportunity to learn from them.